In addition to his degree, Emmanuel was undergoing a one year National Youth Service Corps programme as a school teacher, as stipulated by the constitution of Nigeria. Emmanuel's studies at LSBU have come to end but he is hoping to undertake a PhD focusing on Environmental Policy and Sustainable Development. His studies at London South Bank University have revealed the human face of development, and provided insights into how improving the quality of education can ameliorate living standards of people in developing countries. Further to this, the theoretical aspects of the course have expose him to relevant development theories and models which now have equipped him to better analyse development related-issues. 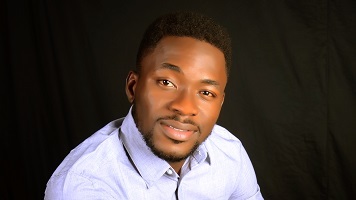 Emmanuel has developed his understanding of development related issues from undergraduate degree, and now through postgraduate study, he hopes to further his learning through a PhD focusing on Environmental Policy and Sustainable Development. He believes this area is not only topical in our world today, but is in need of further research to save our environment, placing greater emphasis on sustainable development. LSBU is certainly an option he is considering, as his time here has been extremely positive, rewarding, and a great learning experience.